Khun Vichai, along with four others, was killed in a helicopter crash close to the King Power Stadium in October. The current Fulham boss led Leicester to the Premier League title in 2016. Watford fans raised money to make the banners ahead of the Premier League game. The Duke and Duchess of Cambridge honoured the late Vichai Srivaddhanaprabha. The Leicester coach is trying to focus on football again. Defeat at Fulham on Saturday left the Saints in the Premier League's bottom three. The Foxes play their first home match since the death of chairman Vichai Srivaddhanaprabha. Leicester owner Vichai Srivaddhanaprabha and four others were killed in a helicopter crash outside the King Power Stadium last weekend. The Thai businessman and four others were killed in a helicopter crash last weekend. Leicester City's Premier League game against Cardiff City will go ahead as planned next Saturday, a week on from the death of owner Vichai Srivaddhanaprabha. Leicester City confirm that chairman Vichai Srivaddhanaprabha was one of five people killed in the helicopter crash outside the club's stadium on Saturday evening. 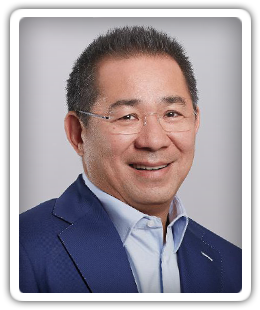 The Air Accidents Investigation Branch is continuing to look into the helicopter crash that is thought to have taken the life of Leicester owner Vichai Srivaddhanaprabha. Leicester City cancel Sunday's planned training session and will reportedly look to push back their meeting with Everton following Saturday's helicopter crash tragedy. The incident occurred in the club's car park. Dozens of players and clubs have sent messages of support to Leicester City following the incident. No details of any injuries or fatalities have been released. Leicester City manager Claude Puel: "I am not under pressure"
Claude Puel tells supporters that Leicester City must endure "short-term pain" if they are to enjoy "long-term gain" under his guidance. The owners of Leicester City reportedly make a bid to buy Belgian second-tier side OH Leuven. Christian Fuchs rejects suggestions that Leicester City's players held talks with the club's bosses to get manager Claudio Ranieri sacked last month. Leicester City winger Marc Albrighton denies any involvement in Claudio Ranieri's sacking and admits to being "very angry and upset" over the reports. Leicester City chairman Vichai Srivaddhanaprabha quits Instagram after several lengthy posts explaining his decision to sack Claudio Ranieri. Leicester City players asked for Claudio Ranieri axe? Senior players at Leicester City reportedly expressed their concerns over Claudio Ranieri to the club's owner before he was axed. Leicester City reportedly have no immediate plans to part company with manager Claudio Ranieri, despite an alarming run of form that has seen them lose four in a row. Leicester City chairman Vichai Srivaddhanaprabha posts an Instagram statement criticising Jamie Vardy's three-match ban following his sending off at Stoke City. Claudio Ranieri admits that he is not worried about losing his job as Leicester City manager following a poor run of results. The Thai FA announces the premature end of the domestic football season following the death of King Bhumibol Adulyadej.